Seriously, we live in a magical time. Yes there are bad things happening that can't be ignored and need action. Right now, let's talk about magic, shall we? I always loved art. I loved looking at it, reading about it, and creating it. I did not love that one painting above my parents bed - a Gauguin print. Tahitian women. Scared me. But that's the point of art - it makes you have a reaction. Good or bad. I love it. I hate it. A few weeks ago, we visited The Broad, a contemporary art museum in Los Angeles. The building itself was a work of art. 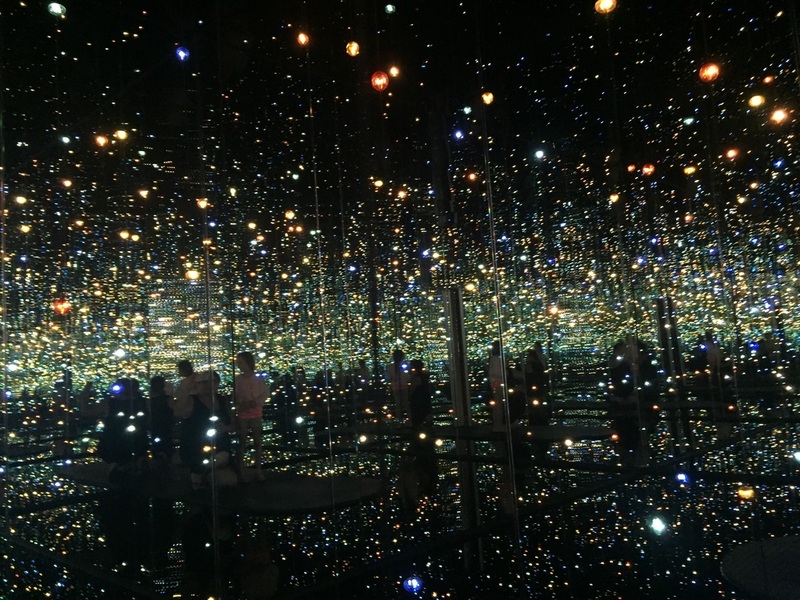 So many wonderful works there but one in particular was The Infinity Mirrored Room. It is an installation by an 86 year old Japanese artist: Yayoi Kusama. If you haven't heard of her, look her up - her story and art is super interesting. Each guest is allowed 45 seconds and within that time you are transported to another world, another time, another universe. It was immersive, sensorial. This piece is timeless but temporary. It lives on through photograph and the audience's memory. I can't ever forget the experience. If you are able to visit, please do and I hope you will come out of those 45 seconds with the same emotion, joy and passion as I did. If not, it's just really cool.